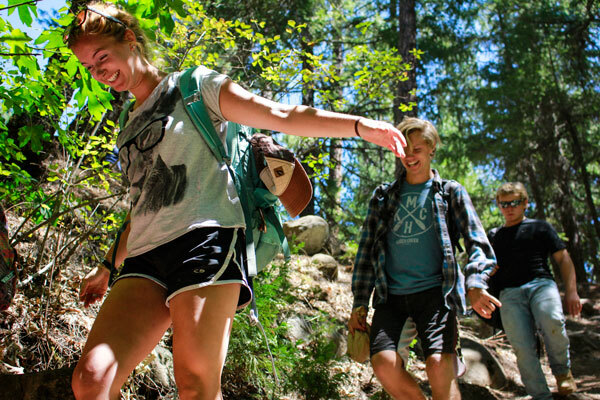 Redwood Camp Staff Alumni Reunion is Coming! 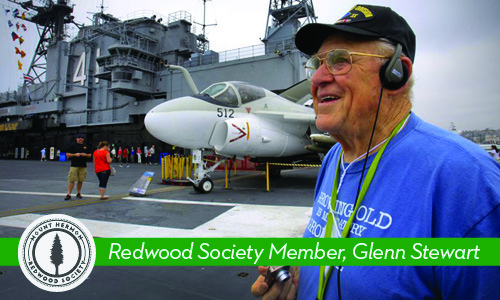 Two long histories coincide in the life of Redwood Society member Glenn Stewart of San Carlos: Mount Hermon, and the U.S. Army. At age 89, Glenn is one of the longest surviving members of the Army during World War II, in a group known as Company L of the 96th Infantry Deadeyes Association. Glenn and his comrades liberated Leyte in the Philippine Islands, then headed for Okinawa, site of the bloodiest battles in the Pacific. He came back with a Purple Heart, among several other awards. The group still meets annually, and Glenn has made most of the reunions through the decades. Glenn turns 90 in November. But even before this heroic service, Glenn and his family were heavily involved in the life of Mount Hermon. His father first came here in 1917, and served three terms as president of the Board of Directors. Glenn became a Director himself in 1972, and has been active at Mount Hermon, attending family camps and other events with his children and grandchildren for five decades. Glenn and his wife, Rita, were married for 51 years, when she was killed in a car accident in 2009. She had been a school teacher, and together Glenn and Rita were very involved at Peninsula Covenant Church in Redwood City, where Glenn has served as head usher since 1976. He also lists 50 years of being “chief budget and business meeting heckler,” which was reflective of his many years as a CPA and business administrator. If you need to know anything about military history, ushering for Billy Graham Crusades, or the details of Mount Hermon’s history, including doing the canopy tour at age 84, just ask Glenn Andrew Stewart. He’s got nearly nine decades of great stories and memories. If you have remembered Mount Hermon in your estate planning, as Glenn Stewart has done, thank you and please contact David Talbott for details on joining The Mount Hermon Redwood Society. 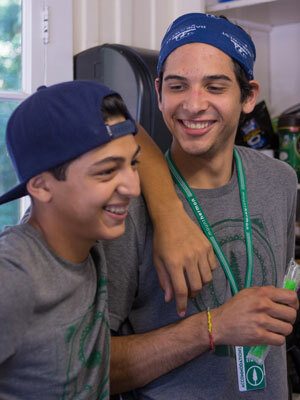 Volunteers Help Make Camp Happen!